Very Positive (162) - 82% of the 162 user reviews for this game are positive. More playable characters with their unique card sets and playstyles. Epilogue, revealing the ending the Outcasts' story. Even more features related to exploring the world map. New types of cards, hero talents, and much more! Tutorial explaining the basics of the game. 50+ different monsters that make for hundreds of unique battle encounters. One playable character with several different playstyles to explore. 100+ unique cards for you to experiment with. Dozens of Camp upgrades to fit your strategy. Card games aren't easy to balance perfectly, and there are probably still broken combos and tactics lurking in the shadows. We encourage you to embark on a fun and creative journey of breaking the game. 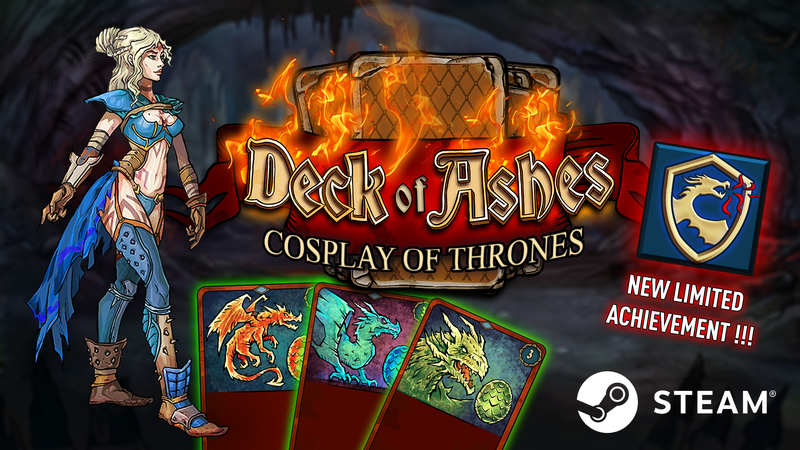 Your discoveries and feedback will help us balance out the dominant strategies and make Deck of Ashes as fun as possible. We are constantly looking for new inspiration and ideas, and the dedicated community can help us find the ones that are the best fit for the game. Got a crazy card on your mind that would fit that particular playstyle? An exciting hero talent we've overlooked? A must-have Camp upgrade we didn't think of? We will be thrilled to hear from you, and who knows, maybe your idea will make it into the final game! 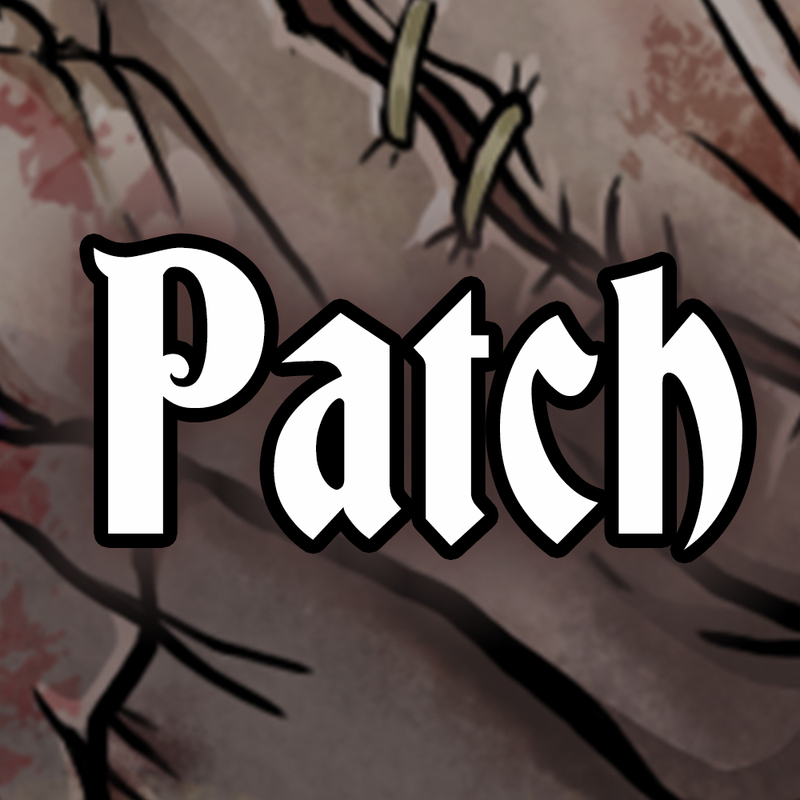 'Unleash the Dragons' Patch is live! ● Aspen Rosary and Beast Trap no longer decrease their Mana cost when other cards are played. ● Bug with the crafting system, which affected the work of the list of recipes, crafting cards in tent screen and in the camp (all NPCs). ● Improved visual notifications of damage, crit and dodge. ● New visual effect for most of Lucia's attacks (fire wave). ● Сhanged mechanics of the Shield - a character with Shield ignores the damage from the next-played opponent’s Strike card, but not -from himself (no more Cloack of Mist + Impartial Fire one-shot combo). ● Significant updates of Chinese and Japanese localizations. ● Minor updates in other localizations. - A new model for Lucia. - New cards that can be found in rare and epic chests. - New time-limited achievement. You can unlock it by finding all new cards in the game. - If you start a new game with the plug-in enabled, your previous save data will lost. - If you start a new game with the plug-in enabled, you cannot unlock achievements in the original game. "The Outcasts brought Ash Curse upon us all, and they are the only ones who can lift it." - Ash Master. The choices that drive your journey - where to go, which resource to collect, which risk to take, and which card to craft - are the difference between success and untimely demise. We provide you with the best deck-building tools we could develop. If you are a newbie - we got you covered, as there are sets of cards that obviously work well together. And if you are ready to go crazy with your own deck idea, there is a 100+ cards for each character to explore and combine. BEWARE: a ton of potential to go nuts with the unexpected combos! Different strategies require vastly different upgrades of your Camp. The resources are scarce, and you won't be able to upgrade everything in one playthrough, so choose wisely!